Another classic old school game is coming to android. Lode Runner! The android port of this game will be called Lode Runner X and initially only be available on the Sony Ericsson Xperia Play, launching this November. The game will be exactly like the original, but the developer does hint at some new exclusive levels just for the android version. A new journey is set to begin for Lode Runnerâ„¢, the classic puzzle-action game many of us grew up with as fledgling gamers. Tozai Games is porting this gem from the Xbox 360 to its newest platform â€“ Androidâ„¢ mobile. 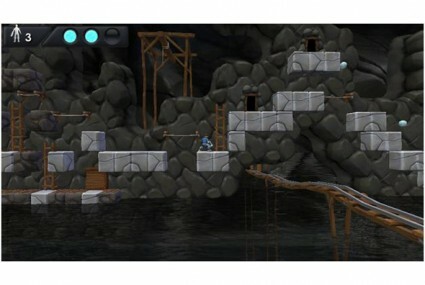 And fittingly, the Xperiaâ„¢ PLAY will be the first Android device to introduce their new version, called Lode Runner X. At Developer World, weâ€™ve seen Lode RunnerÂ on aÂ touch screen, but we canâ€™t wait to try it out with dedicated controls on Xperiaâ„¢ PLAY this November. We hooked up with Scott to ask him more about Lode Runner X coming to Xperiaâ„¢ PLAY.